SUSPENSE SISTERS: SPOOKY TALES ON A SPOOKY HOLIDAY! SPOOKY TALES ON A SPOOKY HOLIDAY! Just how SPOOKY do you like IT? Everyone has their favorite genre when it comes to picking out books. Many of us enjoy spooky books, but how spooky is too scary for you? I admit to reading Stephen King when I was younger. I liked his books. But then I started reading a book titled, “IT.” And that was IT for me. I remember thinking that the description of his killer clown was so dark it bordered on demonic. I put that book down and have never read another King book – except for one he penned about writing. Over the years, I’ve lost interest in novels with touches of horror except for authors like Frank Peretti and Ted Dekker, but even so, I choose my spooky stories very carefully now. So what do you think? Do you like scary stories or is your reading list a little tamer? 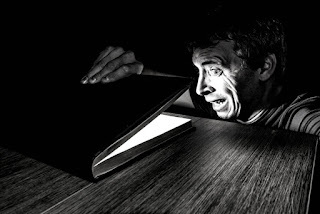 By the way, I think a good mystery/suspense novel can give readers enough heart-pounding action to give most horror stories a run for their money! My readers might find this interesting. When I first started writing, I wanted to be the next Frank Peretti! 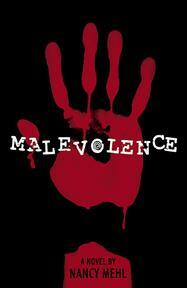 Many years ago I wrote a supernatural mystery titled MALEVOLENCE. It was part of a three part series sold to a secular publisher. They published my first book and I wrote the second book in the series, but it was never released because the publisher started going in a direction I couldn’t follow. Who knows, maybe someday I’ll edit MALEVOLENCE and publish the second book. For now, though, I’m happy writing suspense and cozy mystery. I like suspense but not necessarily spooky. lol And I can't bring myself to read any of Stephen King's work except his craft book...but I may try and read Misery...since I haven't seen the movie. I’m not really a fan of spooky. I like Jaime Jo Wright’s books because they are the right amount of spooky. I love mystery/suspense. I do not like spooky at all! I have enjoyed your other books. Thank you for an opportunity to read this one. I used to read and watch spooky books and movies when much younger, but prefer not to now. Cozy mysteries I can definitely do. I like suspense but not really spooky. Thank you for sharing. I like cozy mysteries, but do enjoy spooky too. I like cozy mysteries, but I enjoy spooky too. I’ve read IT by Stephen King so I must like spooky. Scary could be good for me at my age. Keeps my ole ticker pumping! I prefer a good mystery any day. Thanks for sharing. I don’t really like scary books. Christian suspense or cozy mystery is about my limit. I like spooky to read but not to scary. I love Stephen King and cozy mystery. 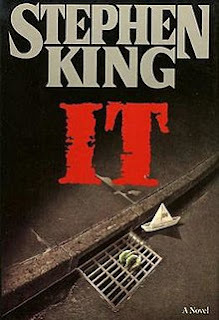 Hi Nancy, interesting I read Stephen King when I was younger, but I stopped reading after I read The Raft! 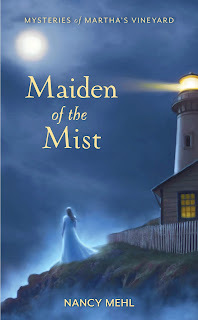 I like suspense and I am looking forward to reading Maiden of the Mist! Thanks for the opportunity to win! I like creepy movies and books but not anything gross or gory. I've never read a Stephen King book. They didn't really appeal to me. I like a little spooky, like some of the Christian suspense I read. By the way, I loved Maiden of the MIst! I like suspense but not scary or horror. I have read a couple Steven King but decided that I just couldn't bring my Christian upbringing and his type of writing together. 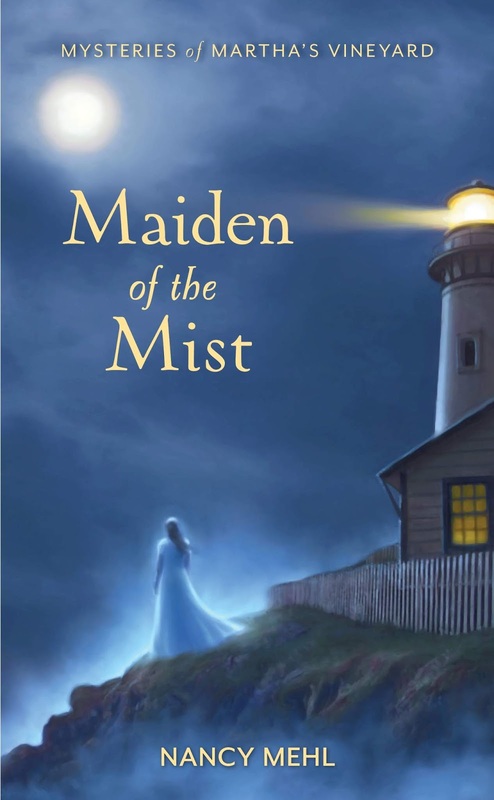 I would love to read Maiden in the Mist. That would be really interesting. Definately a title I didn't know you had. I’m not a real fan of spooky but I love mystery and suspense. But I will be more than happy to read your ghost story. Stella dot Potts 77 at gmail dot com. mystery/suspense...yes...spooky?? not sure...depends on how ghoulishly-spooky it is. Thanks for the chance to win! I like suspense, we'll see about spooky. I'm not very spooky, but I enjoy the classics like Frankenstein & Dracula. HAPPY HALLOWEEN! I don’t like horro stories or books that are real scary. Just a little bit is ok. I do like spooky books. And I love cozy mysteries. Not into spooky stories. I do like mystery and suspense. You're right. Much of the scary or spooky type of stories anymore have gone so overboard. Most of them seem demonic. I don't want any part of them. I do like spooky stories once in awhile. And I definitely like cozies. Mystery/Suspense is about as spooky as I get. However, sometimes those are a bit too scary. I like spooky to a degree. As I get older a good mystery/suspense cozy is my go to. I don't like the really scary books anymore. I love spooky, especially when it’s a cozy spooky. That means curling up with a soft blanket and a cup of cocoa. Mmmmmmm. Muah ha ha!